Chiropractic care can be described as a precise adjustment of the spine to remove nerve interference and restore joint motion. How does joint motion become hampered? It’s called spinal misalignment. When the joints in the spine or extremities become malpositioned, they put pressure on the nerves, which then reduces mobility, affecting the entire nervous system. Gentle chiropractic adjustments alleviate this pressure and allow normal function to return. Our office features Activator Methods, the very best in research-based chiropractic techniques. We offer this method exclusively as it offers precision analysis in determining exactly how and where to adjust spinal and extremity joints. 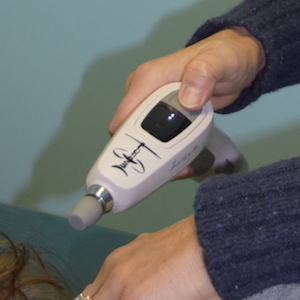 This technique is enthusiastically endorsed by our patients as well, as it provides powerful results through a gentle, low-force application.